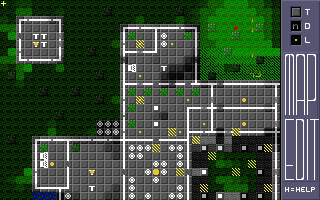 Turn-based small-squad strategy combat with an IgoUgo approach. 1-4 human/AI player hotseat gameplay with capability to play with joined teams. 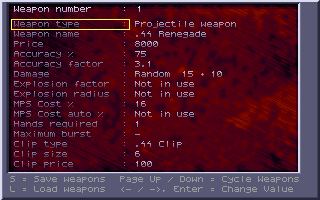 Sophisticated game mechanics allowing varying combat tactics. Persistent and evolving characters and teams. 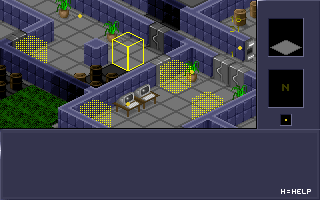 Isometric VGA graphics with per-tile and per-pixel lighting effects. Sound Blaster sound effects and AdLib music. 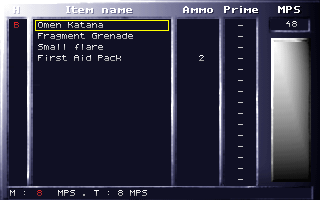 Everything, including maps, weapons, armor and items is editable with provided editors. 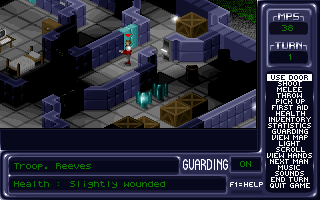 The game package includes DOSBox, the awesome DOS-emulator. 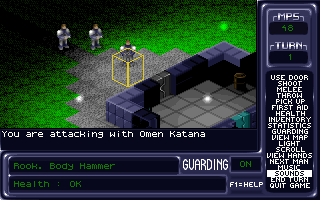 Mostly influenced by X-COM EU, Laser Squad and MechForce. Developed during '94-'97 while the two of us in high school. 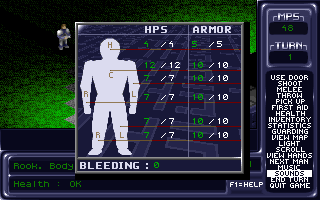 Original, top-down view version was scrapped and replaced by the isometric one. 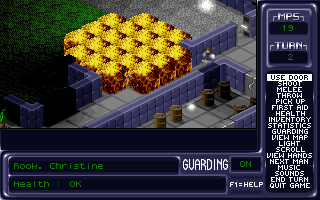 Many parts of the graphics were drawn on Amiga / Deluxe Paint 3 and used as-is. Four major versions released: 1.0, 1.2, 1.5, 2.0. Written in Turbo Pascal + i386 assembler. Originally sold as shareware via BBSs and floppies, later on released as freeware with full sources. 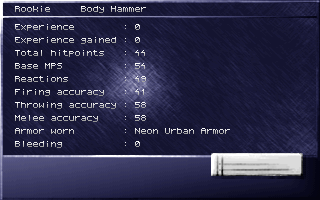 Most of the critique received targeted the cryptic UI and hard-to-meet memory requirements. 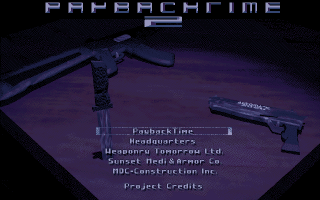 The game was extensively tested by a number of friends. Bugs found were mercilessly abused. 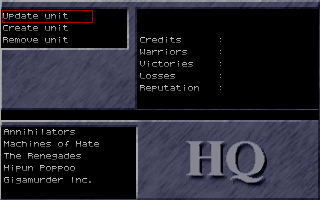 Start by creating a unit (team) for each player in the Headquarters. 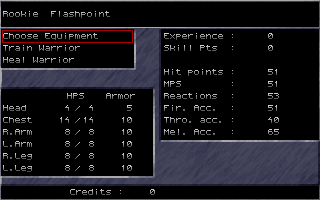 Enter the game, configure battle options, select a map, player options and finally your units/warriors. The battle will be fought until there is only one side standing. The warriors will gain experience as they do combat and the experience may be spent in the Headquarters in form of training. For more detailed information about the game mechanics, read through the documents stored in the docs directory. 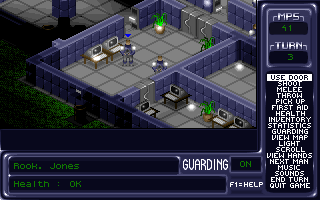 The game is fully keyboard-driven. 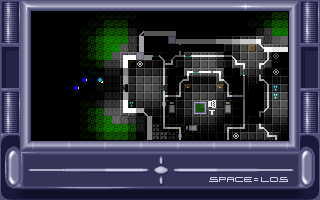 Arrow keys, Esc, Enter and Space keys are used for most menu and in-game navigation. 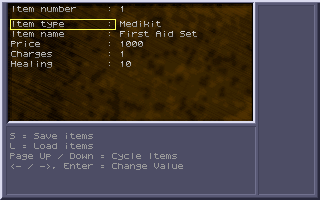 In-game, you can use the visible shortcut menu to issue commands as well - use PageUp/PageDown and Backspace to navigate in the menu. 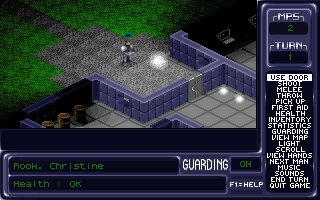 F1 can be used to enter a help screen in-game and in the map editor. ©1995-2011 N. Nevatie, K. Luojus. All Rights Reserved.